Portrait perfect! Floral design is painting a picture with the soul. 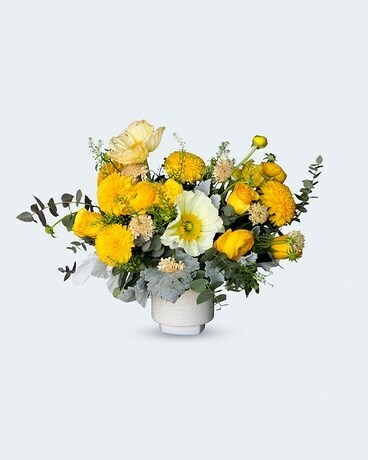 Layers of golden blooms ensnare the senses, as a bed of eucalyptus and minty dusty miller inspire flights of fancy.